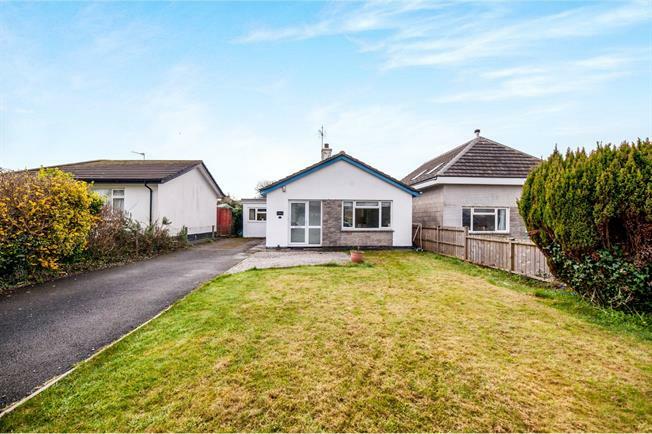 3 Bedroom Detached Bungalow For Sale in Penzance for Guide Price £270,000. This spacious bungalow is well presented in a stylish and contemporary design. It hosts well maintained front and rear gardens. The accommodation hosts plentiful natural light with a pleasant aspect overlooking the garden from each rear room. The living space comprises: entrance, into lounge, kitchen/breakfast room with patio doors to rear garden, three double bedrooms and family bathroom. There is also private driveway parking and planning permission to extend (agent has further details). From front door opening into lounge. Large double glazed window to front aspect, radiator. Opening into kitchen/breakfast room. Double glazed patio doors to rear garden, range of gloss base and wall units with integrated electric oven and halogen hob, integrated dishwasher and fridge/freezer. Radiator, door to utility room and bedroom. Double obscure glazed window to rear aspect, plumbing for washing machine and space for dryer. Combination boiler. Obscure double window to side aspect with W.C, wash hand basin and bath with mains shower above. Heated towel rail and tiled flooring. Double glazed patio doors to rear garden. Radiator. To the front of the property is a spacious garden mostly laid to lawn, with private driveway hosting parking for up to four cars. To the rear aspect is a L shaped enclosed garden which is laid to lawn.